Hi Guys! I did it… I filmed my first episode of my video podcast MeAndMyDogAndSomeYarn. Please check it out and let me know what you think. Featured vintage magazine – Bernat’s Handicrafter, Vol. XIII, No. 3, Wartime. Copyright 1942. Video Podcast – Test Run! I’ve been playing around with the idea of starting a video podcast for a while now. I’m hooked at watching other’s videos and thought I’d give it a try. So, I finally did it! I purchased a new webcam from Amazon and it just arrived. I just filmed a “test run” video. It’s really short, but I wanted to test the lighting, sound, etc. I’m also not used to being in front of a camera, so I hope that is something I will eventually get used to. So, I’d love for you guys to check it out and let me know what you think. Would love comments (good and bad). I love vintage patterns! When my son asked me to knit him a pair of socks, I knew I would want to knit a pair from one of my vintage knitting booklets. 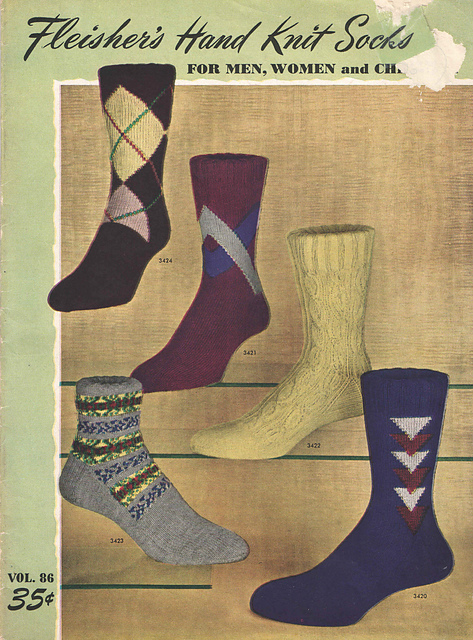 The booklets titled, Fleisher’s #86, Hand Knit Socks for Men, Women & Children , is a wonderful booklet filled with different styles of socks for men, women and children. 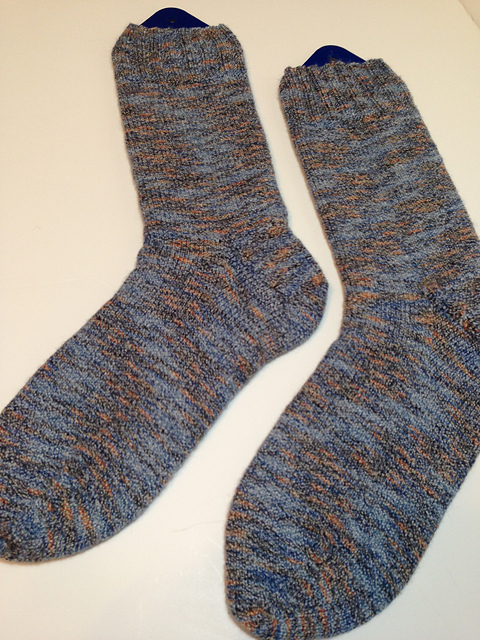 There were several pairs for men, but I chose the one that was just stockinette stitch (Pattern # 3436). 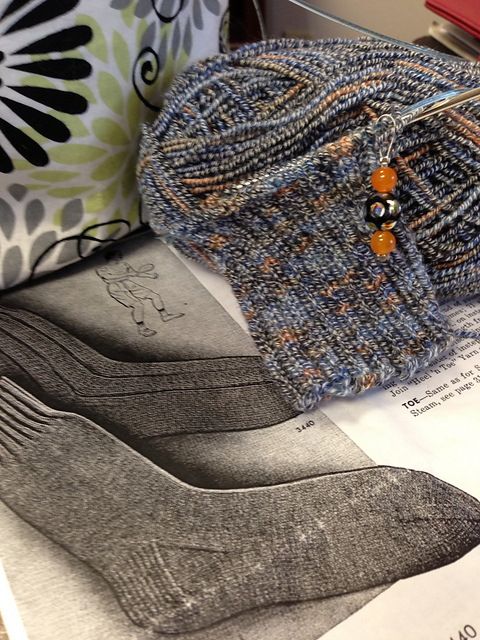 It’s a cuff down sock which calls for knitting in extra thread into the heel and toe sections for extra durability. I did not do that, because I didn’t have the extra thread, but I might do it next time. 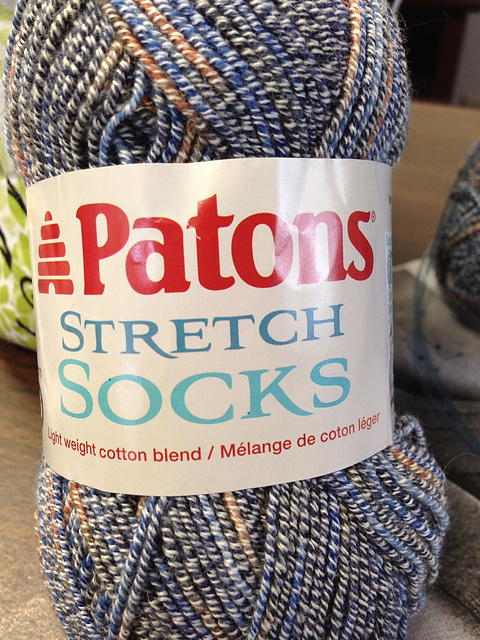 I used Paton’s Stretch Sock yarn in the “Mineral” colorway. The yarn was wonderful to knit with and I think I will use this yarn for my Boxy sweater by Joji Locatelli. The pattern was well written for a vintage pattern and the socks knitted up quickly. He loves them, so I might make another pair for Christmas. 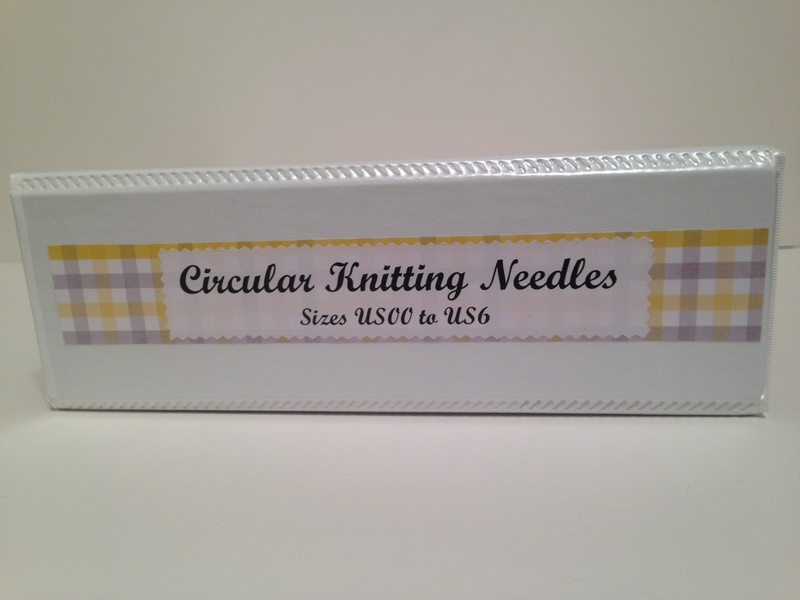 I used to keep my circular knitting needles in a shoebox and it was so hard to rummage through the box to find the particular needle that I needed. I knew I wanted to store them in a way that they would separate the needles by size. I also knew that I had a lot of needles. 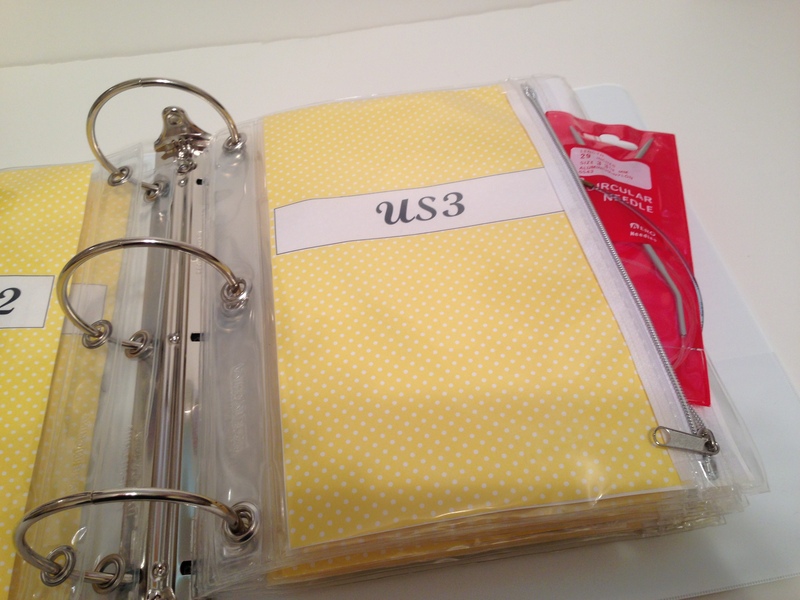 So I decided to buy two 3″ 3-ring binders and about ten clear pencil zipper bags with three-ring holes. At first, I tried labeling the zipper bags with stick-on file tabs, but the paper inserts kept slipping out and the sticky labels didn’t stick very well and kept falling off. I ended up peeling the labels off and just left the binders unlabeled. Then I finally decided to do something about the labeling and I cut pieces of scrapbook paper to fit inside the zipper bags. I cut two pieces per bag. Using the computer, I printed out labels on white paper, cut them out and used a glue stick to affix them to the scrapbook paper. Then I just slid the scrapbook papers into the zipper bags, with the right sides facing out. 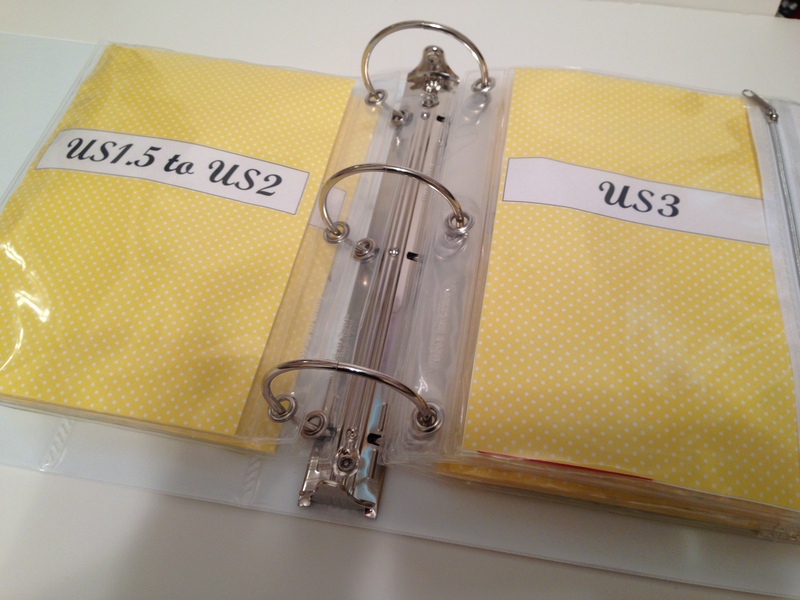 I placed the zipper bags in order, according to needle size, into the 3-ring binders. 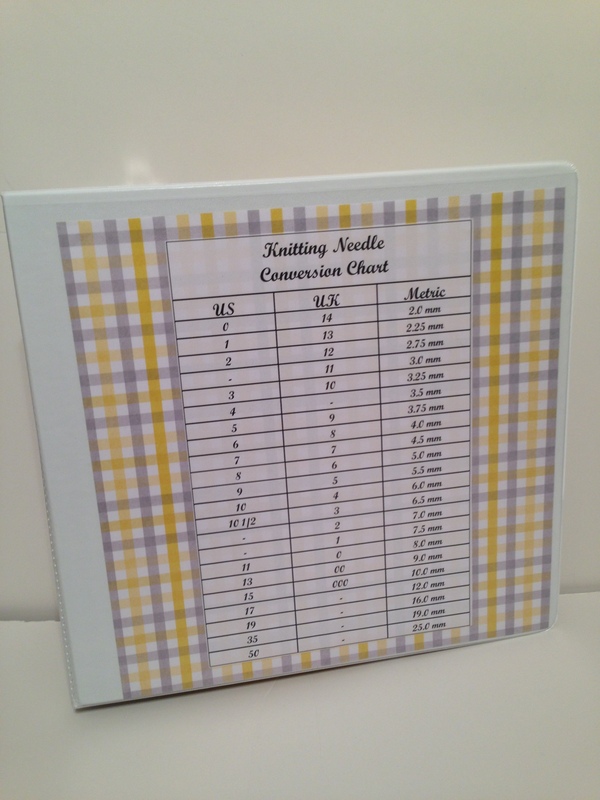 I printed out a needle conversion chart and glued it to pretty scrap paper and slid it into the front of each binder. The sides of the binder are labeled as well. I’m so excited to finally have my circular needles organized! I’d love to hear your comments or know how you orgainze your needles!